When cooking candy, the most important thing to get right is the temperature of the batch. 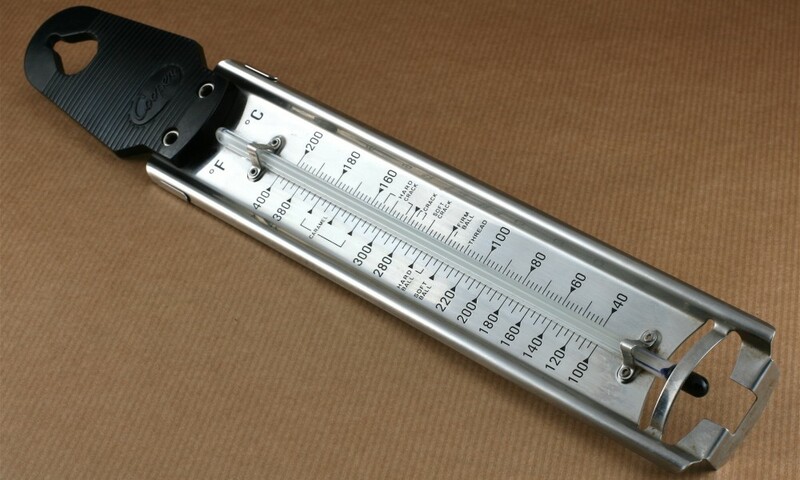 Ensure you have an accurate thermometer (preferably one with the key temperatures marked on). We have put this hand candy cooking temperature chart together which outlines the key temperatures popular candy based sweets are cooked to. As the sugar syrup is cooked the water boils away; this will cause the concentration of sugar to increase. The highest temperature the sugar syrup reaches determines what the candy will be like when it’s cooled. sugar syrup, fruit liquer, some icings 230-235℉(106-112℃) A spoon full drizzled pored onto a plate will form thin fine threads. Caramel, candies 245-250℉(118-120℃) A small amount of syrup dropped into cold water forms a ball which is firm when handled. nougat, marshmallow, toffee, gummies, rock candy 250-265℉(121-130℃) The ball of syrup is more rigid but still pliable. taffy, butterscotch, toffee apples 270-290℉(132-143℃) A small amount of syrup is dropped into cold water will separate into threads that will bend when picked up. brittles, hard candy, lollipops 300-310℉(149-154℃) The syrup separates into threads that are hard and brittle. Light Caramel 320-335℉(160-170℃) A spoonful poured onto a white plate will be honey – golden in colour. Dark Caramel Up to 350℉(177℃) A spoonful will be a deep red amber colour when poured onto a white plate.